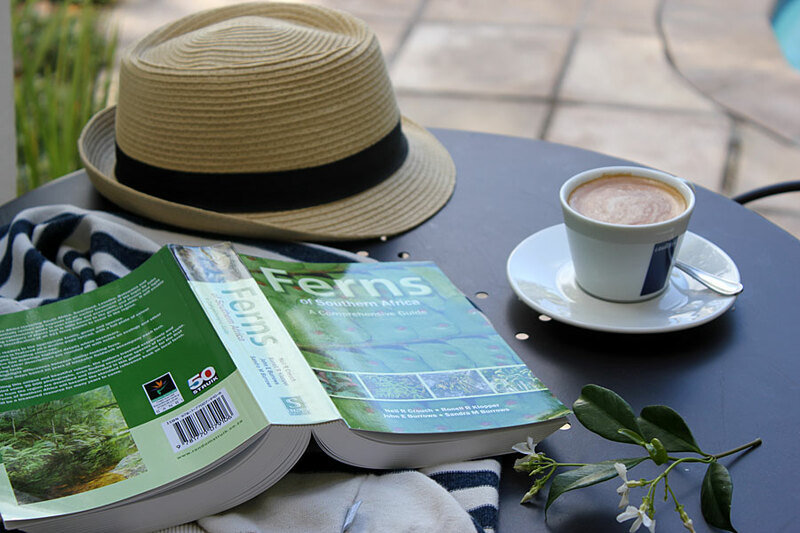 Ferns of Southern Africa starts off with a foreword that hooked me – Did you know that there are over 300 species of ferns that are native to southern Africa? I had no idea. Considering that half of the subcontinent is semidesert or desert this is a really high number as I’ve always though of ferns as requiring shade and thriving in forest type areas. Turns out that there are quite a number of local species that have evolved to tolerate extreme drought and heat, as well as full sunlight and bush fires. And did you know that ferns were flourishing about two hundred million years before flowering plants made their first appearance? The introductory chapter will introduce you to these and many other interesting facts about ferns you probably knew nothing about if you are not a fern fanatic. Ferns of Southern Africa features a full double-page spread per species with multiple photographs including close-ups (the photography is superb), informative line drawings where necessary and very detailed and comprehensive descriptions. 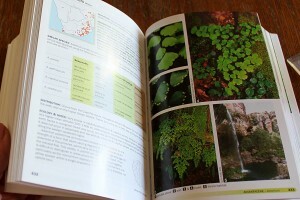 Other features of the book include tables that highlight differences between similar-looking fern species, distribution maps and identification keys to families, genera and species. It’s a beautiful book, no doubt about that. If you are seriously interested in ferns then this book is an essential for your library. I haven’t seen another book quite like it in our local bookstores, so consider adding it to your collection if you are a “Fern-atic”. 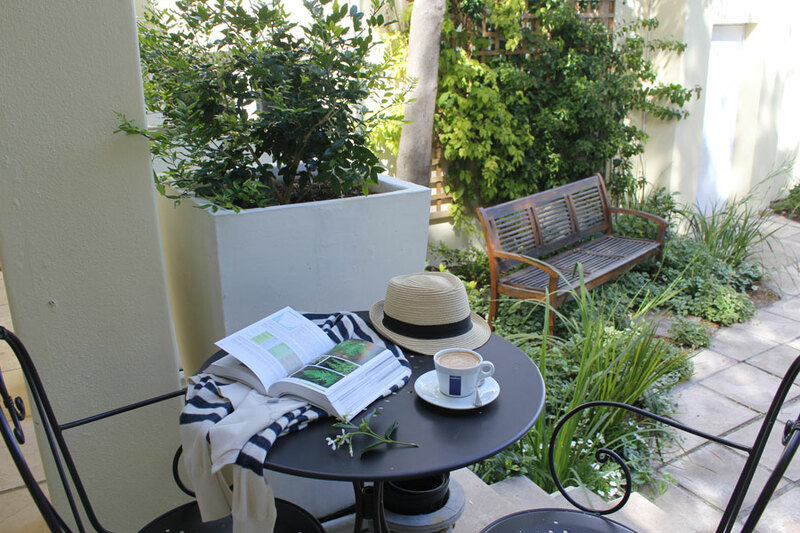 But its not a quick, Saturday afternoon read – It is a beautiful guide and reference book I am proud to own, and I’m sure I will page through and refer to it often in the years to come. Its about plants! My favourite book type! Has this book convinced me to dash off to the nursery to buy a bunch of ferns to plant in my garden? I’d have to say no, but … I am considering a few carefully selected and purposely placed ferns. And I will be using this book to research exactly which type to plant and where. This comprehensive, colourful and lavish guide to the ferns of southern Africa (covering South Africa, Swaziland, Lesotho, Botswana and Namibia) throws new light on a category of plants that’s little-described or featured. 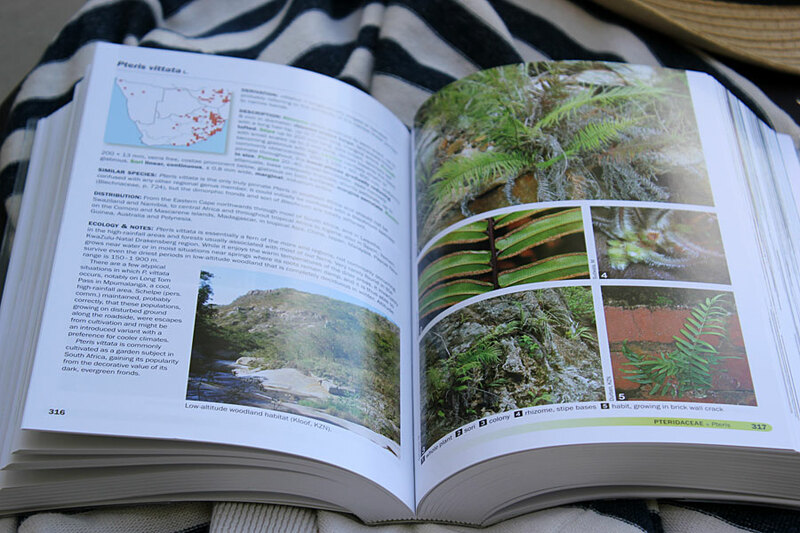 Its careful and accessible design enables quick, sure identification of all 321 ferns known to occur in the region. In compiling this unique and beautiful volume, the authors travelled extensively, even finding several new species of ferns along the way. They are all treated in this guide – some described here for the first time. Ferns of Southern Africa will become the standard reference book on local ferns, and will be a treasured resource for many years to come. Neil Crouch is an ethnobotanist with SANBI. He recently co-authored Guide to Succulents of Southern Africa. Ronell Klopper is curator of the fern collection at the National Herbarium, SANBI. John Burrows is a nature conservationist. He authored Ferns and Fern Allies of South and South-central Africa. Sandra Burrows is an acclaimed botanical illustrator and natural history author who has collaborated on several works, including Southern African Ferns and Fern Allies. I have ONE fern, what the florists call six weeks fern because it lasts in the vase. I need to remember to water it more often. Love maidenhair fern, but that doesn’t survive my ‘care’. am very interested in Ferns, I have quite a number but was not aware that there are so many that are native to southern Africa. Very interesting. I’ll have a look for this book when I’m at Exclusives. I might get this for my growing library of plant books. Great review! There are Texas native ferns in my garden and they are treasured for their beautiful, lacy foliage and bright green color. This year sadly was the first time they had ever gone dormant in the late summer from heat/drought stress. Fortunately, it appears to be only dormancy as they have bounced back with a flourish with the recent cooler temps and miniscule amount of rain. They look more like spring ferns right now than fall! I love the detail of the jasmine on the table as you read. It has such a way of filling the air with its incredible fragrance! Christine I like how easy your review is to read. You relate it personally which in turn makes it relate to others. You are also honest which is so important. Looks like a lovely book..what a wonderful honor to be asked to review a book! !